Carolyn Lasky passed away peacefully in her home in Fillmore, CA on March 31st. 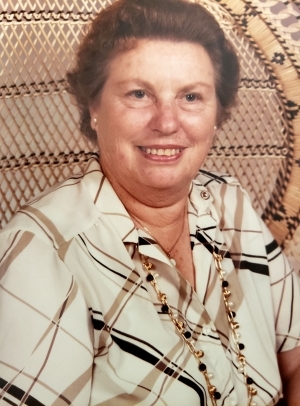 She lived in Fillmore for 74 years, and was involved in the Ventura Orchid Society, Ventura County Garden Club, the Fillmore Senior Center as well as the Santa Paula Hospital Auxiliary, where she accumulated over 7000 volunteer hours. An avid gardener, she was always proud of her roses, orchids, and green goddess calla lilies, and loved to share them with others in her community. She is survived by her two daughters, Linda and Roberta, her six grandchildren, Brian, Brad, Toni, Jamie, Lisa, and Greg, and her 11 great grandchildren. She had many friends in Fillmore and will be sorely missed by all. Her memorial service will be held on Saturday, April 13th, at Trinity Church, 608 Saratoga Street, in Fillmore from 1:30pm to 3:30pm.